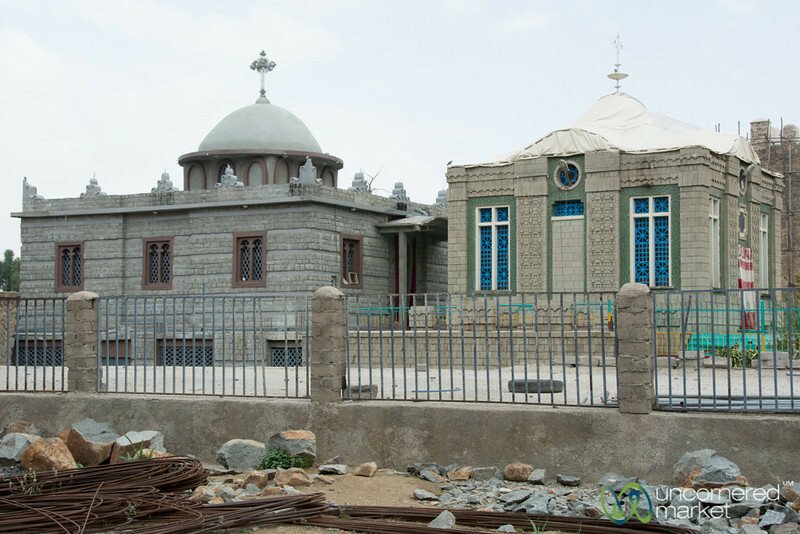 Photos from Addis Ababa and Aksum in Ethiopia. 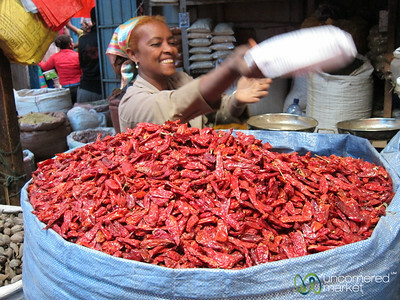 Have you ever seen a bigger bag of chili peppers? 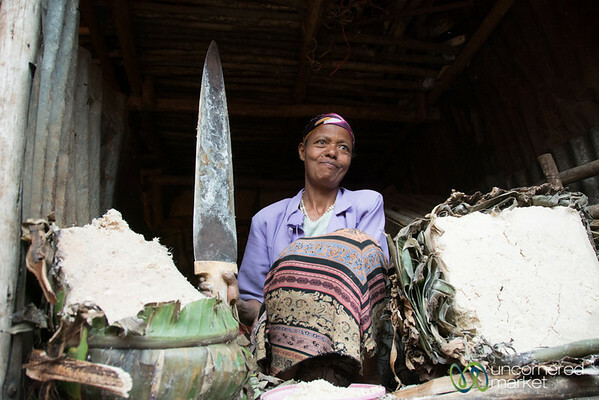 Taken at the Merkato in Addis Ababa, Ethiopia. 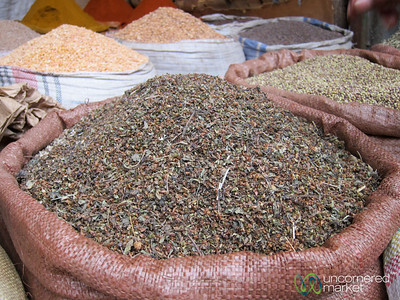 Spice and herb shopt at the Merkato in Addis Ababa, Ethiopia. 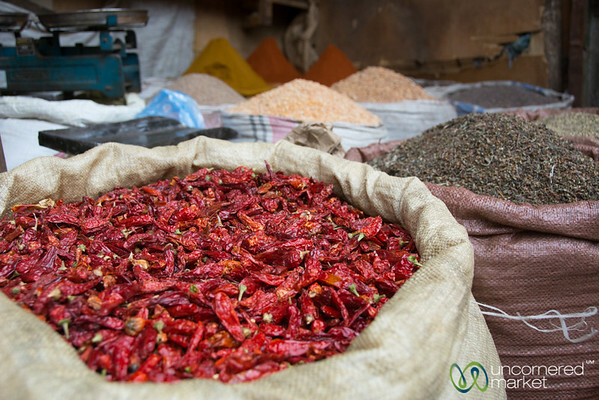 A big pile of small chili peppers used for mitmita spice mixture at the Merkato in Addis Ababa, Ethiopia. 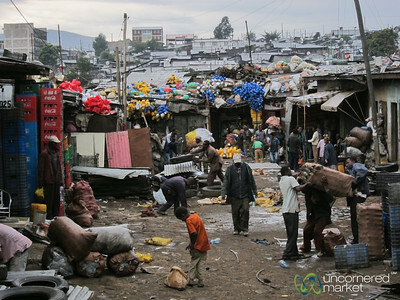 The Merkato (market) area of Addis Ababa also has a large recycling business going on. Nothing gets wasted. 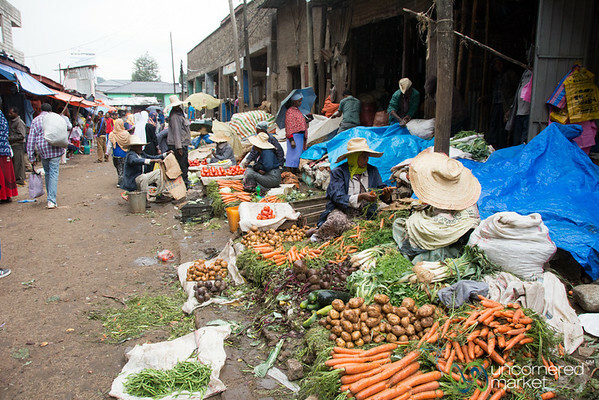 Piles of carrots and other vegetables for sale at the Merkato in Addia Ababa, Ethiopia. 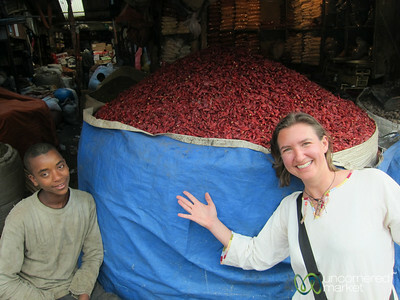 A bag of small chili peppers used for mitmita spice mixture at the Merkato in Addis Ababa, Ethiopia. 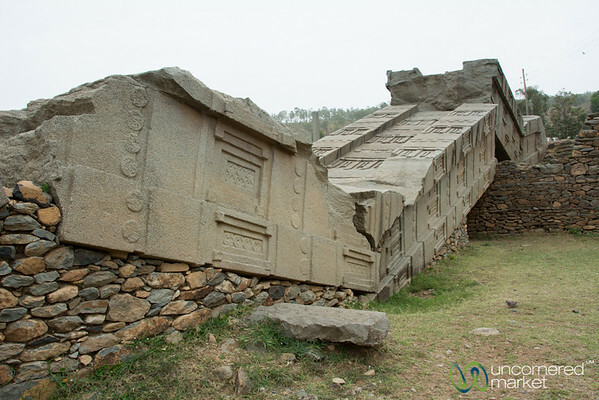 The largest and youngest Aksum stelae fell over the same time it was put up. 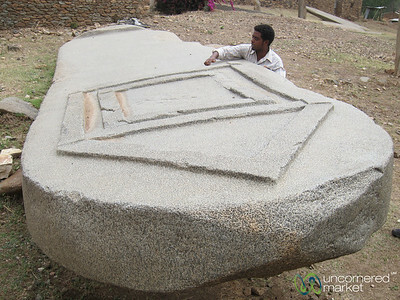 Now it lays broken in a field in Aksum, Ethiopia. 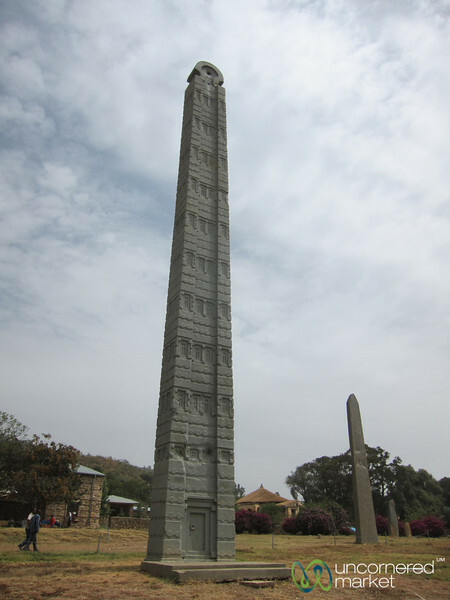 Ancient Aksum obelisks believed to mark the site of Kings graves. 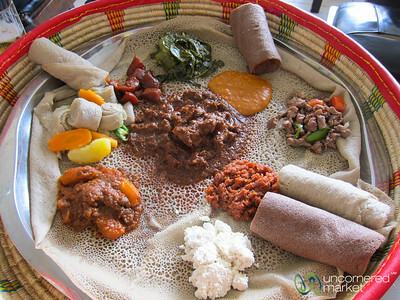 Northern Ethiopia. 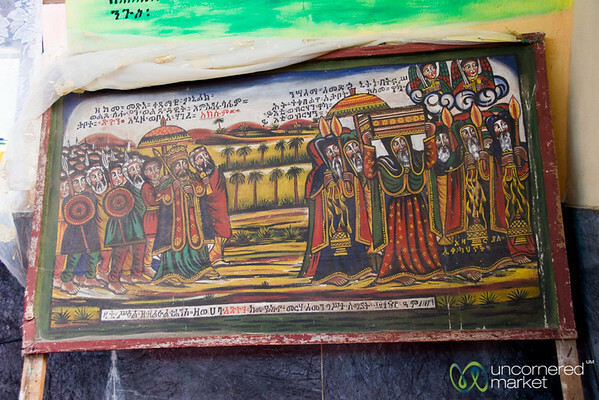 An engraving on the front side of an old stelae in Aksum, Ethiopia. The Ark of the Covenant has its home in the Church of Our Lady Mary of Zion in Aksum, Ethiopia. 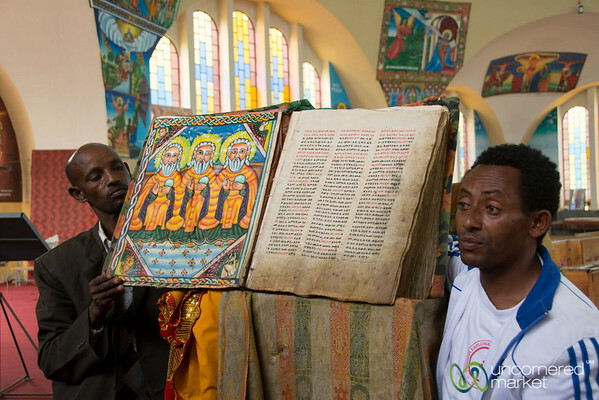 A painting showing the journey of the Ark of the Covenant from Israel to Ethiopia in the Church of Our Lady Mary of Zion in Aksum, Ethiopia.